Looking at this one feels close to the elements of nature. What an amazing place to wander at low tide. So many interesting things to see! Lovely color in this excellent composition. V.
Superb coastal image wonderfully composed Ton. Beautiful well composed low-tide scene Ton. Une superbe composition ! V.
This is pretty and it made me realize that I haven't seen seaweed in over 40 years. That's too long. "VV"
A fine coastal scene. 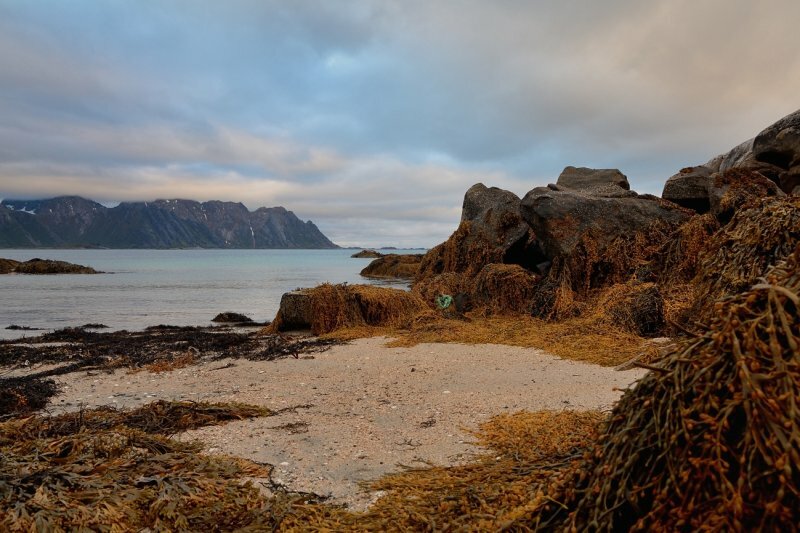 V.
This is fantastic landscape Ton and that hanging seaweed give a fine mood in this image, a beauty!! !